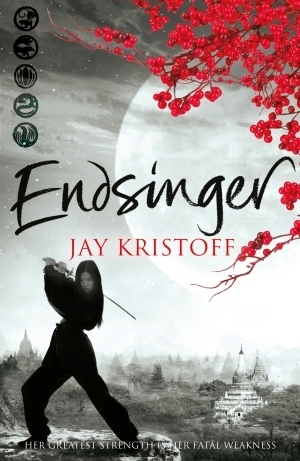 Jay Kristoff’s Lotus War trilogy comes to its epic conclusion in Endsinger. 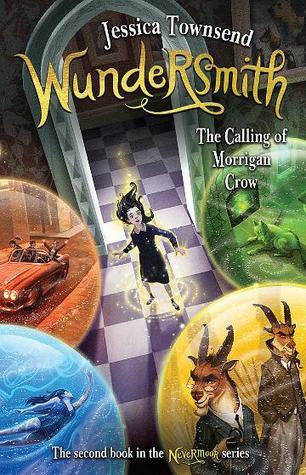 How do I write this review without gushing about how much I loved this series? I’m not sure that’s possible. The Lotus Guild and what remains of the Shogun’s samurai are hell-bent on wiping out what’s left of the Kagé rebellion, but there is some larger evil about to be unleashed on Shima. The Kagé rebels, the Guild, the Imperial forces and the Gaijin foreigners are all about to be drawn into a confrontation that could wipe them all out. And in the middle of them all is one girl and her arashitora – Yukiko and Buruu. There are many, many story threads in this book – sometimes it can get hard to keep track of who is where and with whom, but they are woven together in a very clever way. While there is a fair bit of set-up early on in this book, once the action starts, it doesn’t let up. I realised at about the 60% mark while I was putting my little one to sleep that I was starting the final epic battle, and after that I simply couldn’t put the book down again. Three hours later I was finished and a bit of an emotional wreck. This series is written beautifully. Some reviewers criticise the descriptive language, saying that too much time is spent describing details, but I love that the scenes feel like high-resolution in my head. The characters are also diverse and wonderful. I’ve said it in my other reviews but it must be said again – Yukiko and Buruu steal the show with their relationship. So much true affection, snark and hilarity – I love it! This final book was every bit as nail-biting, heart-breaking and amazing as I hoped it would be. It didn’t end up being quite as dark as the previous book which I was quite pleased about, but made up for it with some proper tragedy along the way (bring your tissues). I don’t want to say anything else about the story outside of a spoiler tag, but if you don’t mind a darker fantasy, you must read this series. While there are darker sections with some bloody violence and heart-breaking sad times, there is a balance with some beautiful and uplifting love stories and redemption. This series has certainly been one of my favourites of the last few years. I don’t really feel that I’ve done it justice in this review, but all I can say is: Read it. – Awesome dark fantasy steampunk, with a Japanese influence. Read it now. View Spoiler »Did anyone else think that Yukiko and Kin forgave each other and got back together a little too quickly after all that each of them had been through? Especially after Yukiko thought that Kin had betrayed her all that time. I was just a little surprised. This series sounds incredibly epic and unique. I feel like I’m cheating by reading reviews for the third and final book before I’ve even started reading the series. But I just ordered Stormdancer yesterday, so it should be on its way very soon!